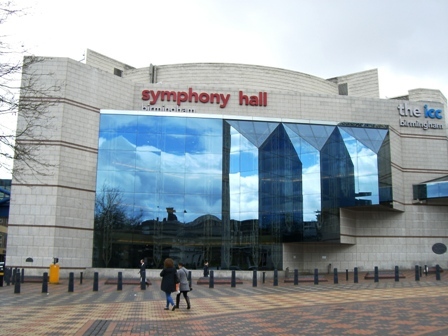 Performing under the baton of renowned conductor John Wilson, The National Youth Orchestra of Great Britain makes a return visit to Birmingham's Symphony Hall on January 6, 2017. The 164 teenage musicians are drawn from all over the UK, and are from very different backgrounds, but they have a love of classical music in common. The programme at Symphony Hall on January 6 includes Komarov's Fall (2006) by Brett Dean, written in memory of an astronaut taking part in the 1960s space race, Rachmaninov's Symphony No 2 and Szymanowski's Symphony No 4, better known as Sinfonia Concertante, which features a major role for solo piano performed by Tamara Stefanovich on her Birmingham debut. Tamara has performed at the world's major concert venues, including New York's Carnegie Hall, Berlin's Philharmonie, Tokyo's Suntory Hall and London's Royal Albert Hall. 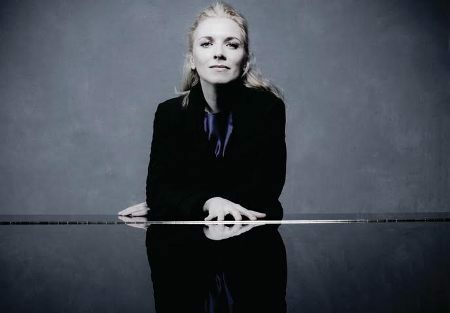 She features regularly in international festivals such as Lucerne, La Roque d'Antheron, Aldeburgh, Salzburger Festspiele, Klavier-Festival Ruhr and Beethovenfest Bonn. The National Youth Orchestra of Great Britain comprises musicians aged between 13 and 18 who rehearse and perform at Britain's most prestigious concert halls, in schools and to teenage audiences across the country. Established in 1948 by Dame Ruth Railton, the NYO has given over 550 concerts and nurtured some 5,000 young musicians. Many of them have become international stars, like Sir Simon Rattle, now Chief Conductor and Artistic Director of the Berlin Philharmonic, composer Judith Weir and Sir Mark Elder, now the Music Director of the Hallé. For their performance at Symphony Hall, tickets are priced £5 for anyone under the age of 25. Conductor John Wilson has developed long-term affiliations with many of the UK's major orchestras and is working increasingly further afield, most recently with the Sydney Symphony. He is Associate Guest Conductor of the BBC Scottish Symphony Orchestra.